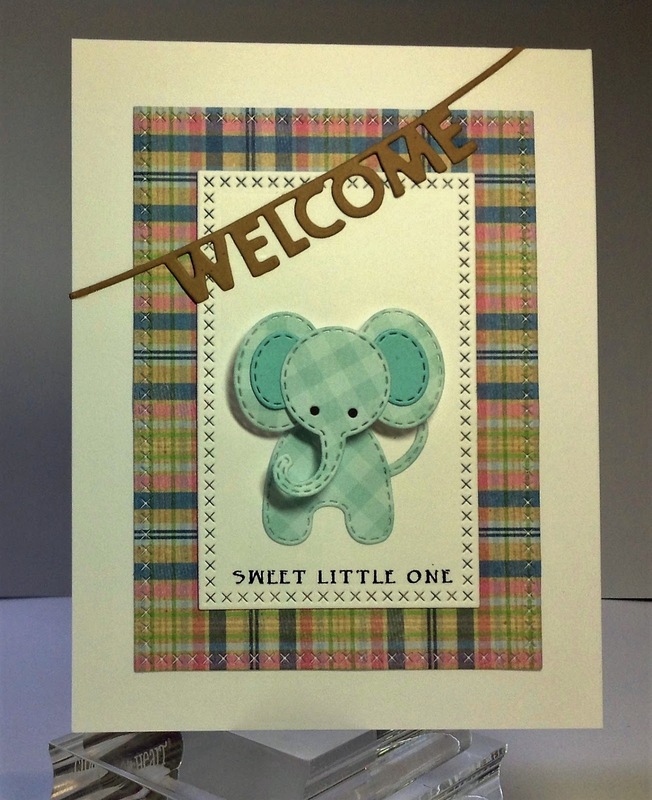 Birgit here with you today with a set of sweet little baby cards! These came together so quickly and easily, as I used the same design on all of them. I started by cutting the largest Memory Box Open Studio Stitched Rectangles out of various plaid design papers. The center rectangle is cut using Lawn Fawn Small Cross Stitched Rectangles. I then cut Impression Obsession Patchwork Elephant out of both blue's and pinks to make a baby boy and baby girl card. I added the "Welcome" banner from Taylored Expressions Welcome Spring die set and stamped a sentiment along the bottom of the white panel. Each card is the same but different. Today's tip: Use various printed papers when cutting with dies to create fun, mix and match cards. They go together quickly and easily! 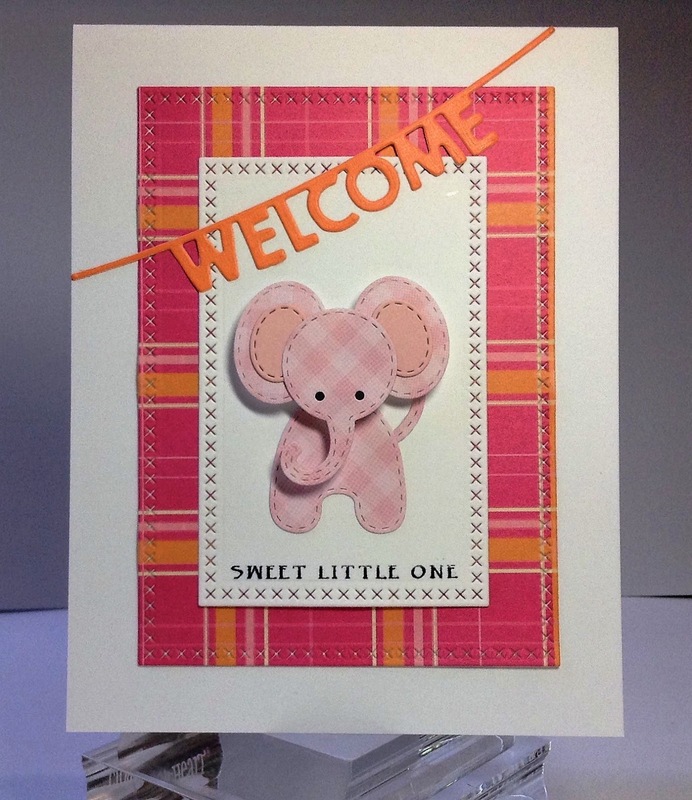 Great new baby cards Birgit. The animal dies are really cute and I love the stitched borders, such a pretty design added to the rectangle.......something else to be added to my long wish list! OMG how totally adorable these baby cards are Birgit! I can't pick a favorite ... love them all! Oh my goodness these are just too adorable.... Love the plaid with them, I have seen the little elephant around a few blogs but not these others, such a wonderful set of cards!! These are absolutely precious! I love them all but those sweet little elephants are calling to me! ADORABLE!!! Love these! So adorable and love the plaid! 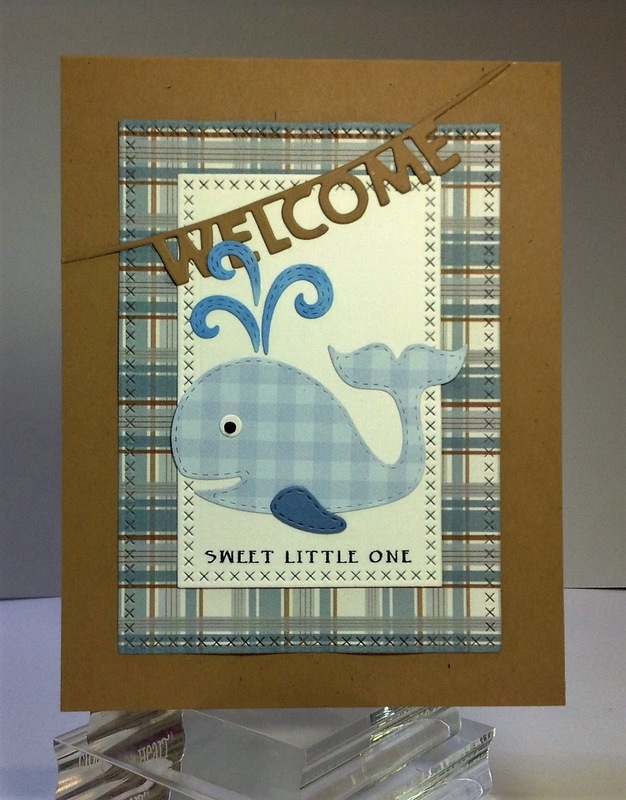 Aw, your little welcome banner on the baby cards is the cutest use ever! 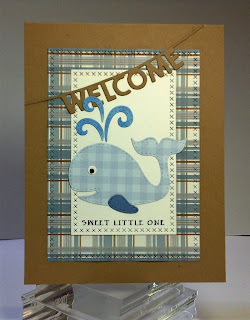 I love the sweet images, and wonderful papers used in your die cuts! Such cute cards. Love them all.